It may be the start of a brand new year but that doesn’t mean that the deals need to end. In fact, a new year just means a fresh opportunity to source the best technology deals for you and bring them directly to your screen. Check out the deals below and make sure to act quickly if you see something that you like. 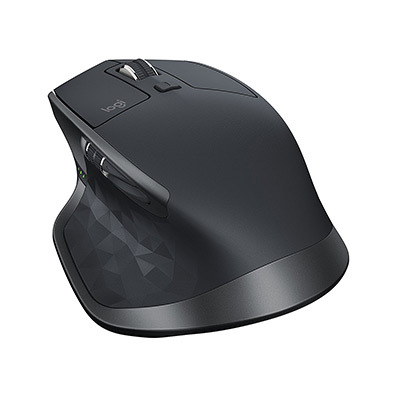 Starting off, we have the fabulous Logitech MX Master 2S wireless mouse coming in with a $20 discount, which means you can grab one for just $80. Next up we have is a bunch of charging solutions; one is a power strip with USB ports, and one happens to be a USB-C wall charger from Anker. Last but not the least is a magnetic screw driver set for all your DIY projects at home, and that too for a mere $22. As always, make sure you act quickly to grab the product of your choice from the list here as these deals are usually time sensitive and subject to stock levels. Enjoy the savings! How about a gorgeous, ergonomically designed mouse which allows you to easily control multiple devices at any given time and to copy and paste content seamlessly between those devices? Well, that’s exactly what you have here with this reduced price Logitech MX Master 2S wireless mouse. Oh, and to make the deal even better, it’s one of those well-designed and well thought out offerings which tracks almost anywhere, even on glass. Rather than having to run cables all over the place to power multiple devices, this handy power strip gives you four sockets and four USB ports to easily power and charge all of your devices in one single place. It comes with a 5-foot cable and multiple ports with built-in safeguards to protect all devices. 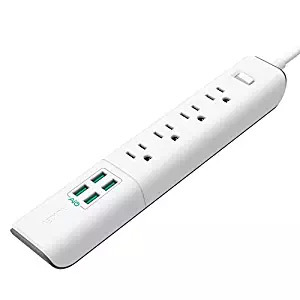 Best of all, you can grab the power strip for as little as $16 using the following promo code at checkout: AUKEYS08. This handy little Anker hardware has built-in technology which immediately makes it intelligent enough to recognize the type of device it is supposed to be charging. This technology means it can charge up to five devices at any given time and immediately give the right power levels to those devices to get them charged as quickly as possible thanks to the PowerIQ technology. Best of all, it even has a USB-C PD port in addition to those 4 USB-A PowerIQ ports, meaning you can even charge your 12-inch MacBook or MacBook Pros with it. 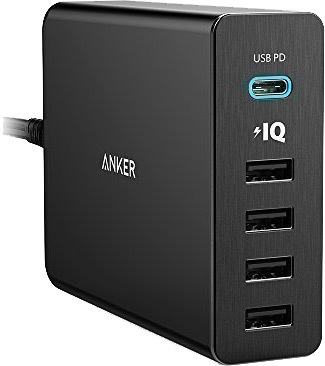 Eveen better, this charger can be yours for a mere $35 using the following promo code at checkout: ANKER517. 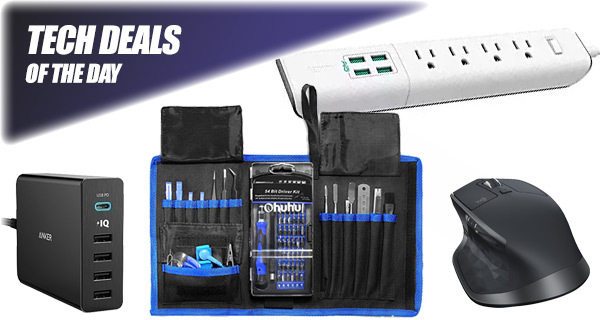 This is the ultimate toolkit to take apart and tinker with your Apple smartphone. 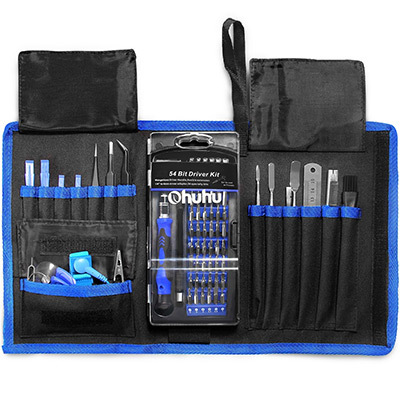 The Ohuhu contains everything that you need to expertly take apart any smartphone or tablet device, including precision tools which can be amended to suit almost any device. This also comes with a whopping 58 interchangeable bits to ensure that you have the maximum flexibility.